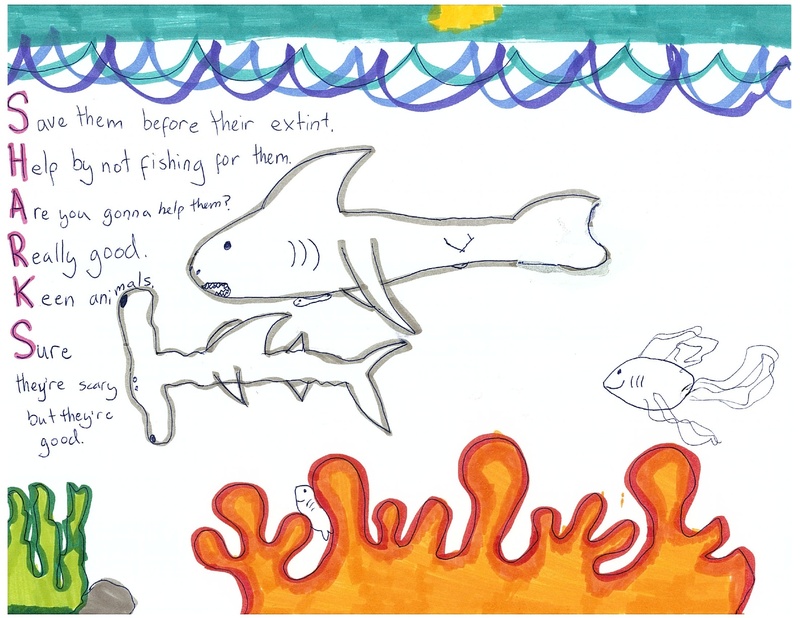 Thank you for speaking up for the sharks. You were very inspirational and you are very brave, just like the sharks. We learned a lot of interesting facts about sharks and how endangered they are. You taught us how some things can look scary but are not. Your film made us feel sad, angry and inspired. We want you to feel welcome in our classroom any time to talk about sharks! We are really looking forward to Revolution. We are planning to make awareness posters for our community about making the world a better place. We are looking forward to hearing back from you as you are our hero.Thank you for making a movie about protecting sharks and raising awareness. P.S. Please come to our school and we love you. This entry was posted on Wednesday, October 9th, 2013 at 1:28 pm	and is filed under news. You can follow any responses to this entry through the RSS 2.0 feed. You can leave a response, or trackback from your own site.